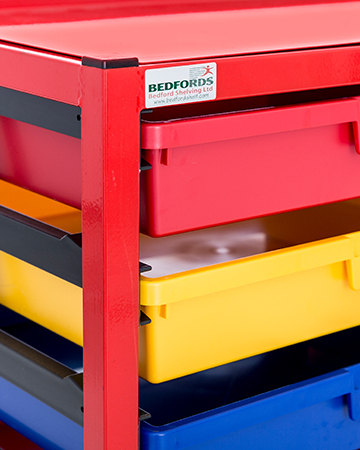 Bedford Shelving is one of the UK’s leading manufacturers and suppliers of high-quality wire, aluminium, stainless steel and chrome shelving for healthcare and catering use. Boasting a 190-year heritage in the wire and shelving industry, we are supported by a significant on-site manufacturing operation and a factory in Brighouse, Yorkshire. We design and manufacture world class wire products, especially shelving and racking solutions and bespoke wire products. Today we use automated equipment and CAD systems…although we still have wire workers whose valuable experience we use to make prototypes and small batches. Happily we have maintained the continuous line from 1824 by forming Bedford Shelving Ltd, and we still continue to be one of the main market leaders in the manufacture and supply of a wide range of shelving products and provision of bespoke wire product solutions.